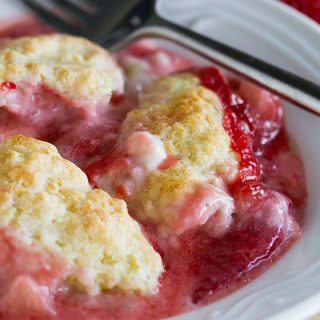 Looking for a treat easy enough for the kids to help make? 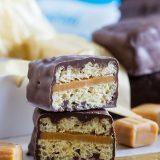 These Caramel Filled Rice Krispies Treats only have 3 ingredients and are easy enough to get the whole family involved! They also make a great gift for dad for Father’s Day! This post is sponsored by Kelloggs. I’m so glad to be able to work with companies and organizations that I truly believe in. Thank you for supporting them, too. So, what do you get for a father who is hard to shop for? My husband is not a lover of a lot of physical things. But if there is something that he wants, he doesn’t every wait for holidays or birthdays, he just goes out and gets it. So this makes it difficult when it does come to a holiday or birthday to get him something that he wants, or at least something that he will use. So lately, we have been resorting to homemade. Because when it really comes down to it, homemade trumps all anyway, doesn’t it? Especially when you have 3 little ones who can join in on the fun!! 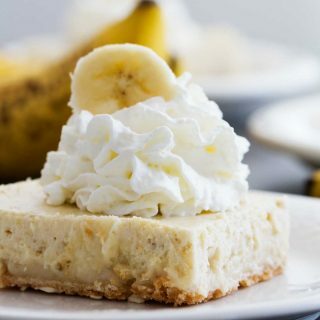 My husband is always down for a good sweet treat, so the kids and I decided to make a fun treat for him. 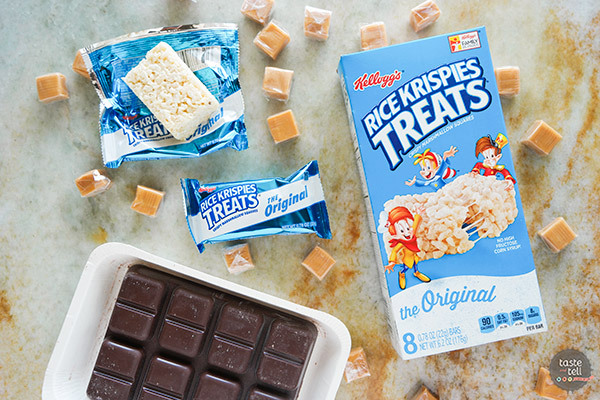 While thinking about what he loves, I knew I couldn’t go wrong with caramel and Rice Krispies Treats. 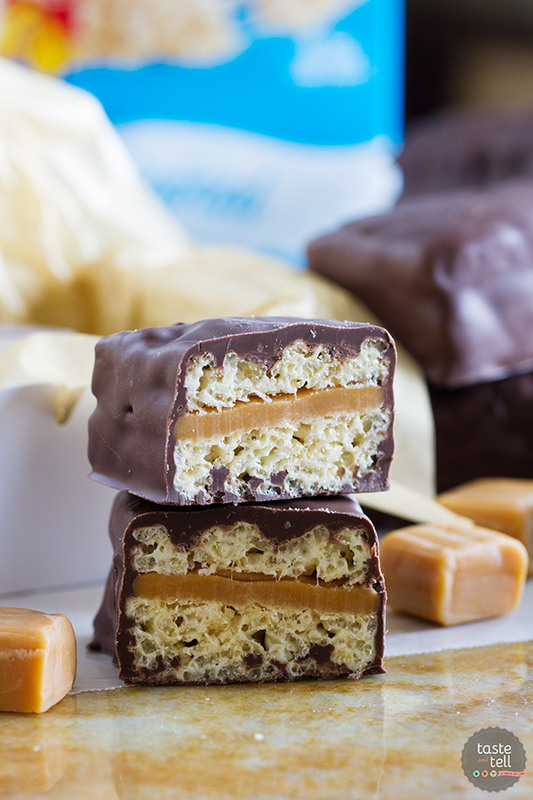 These Caramel Filled Rice Krispies Treats are so easy that my young kids can help, but the end product is something so delicious, he might even think you went to the chocolate shop to buy them!! 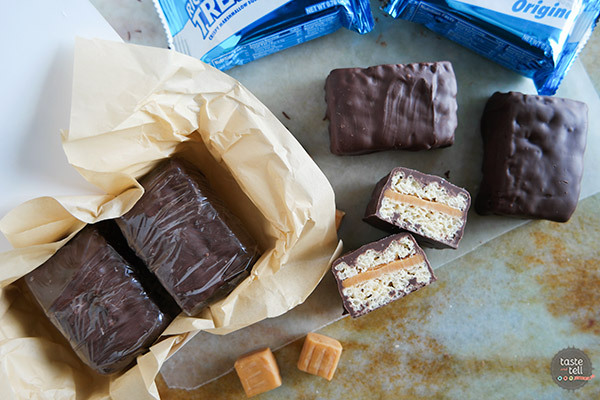 You will unwrap the Rice Krispies Treat bars and cut them in half. 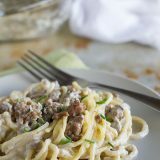 Make sure you have a sharp knife, and it should be pretty easy. Next, you’ll take the caramel candies and pop them into the microwave for a few seconds to soften them up a bit. 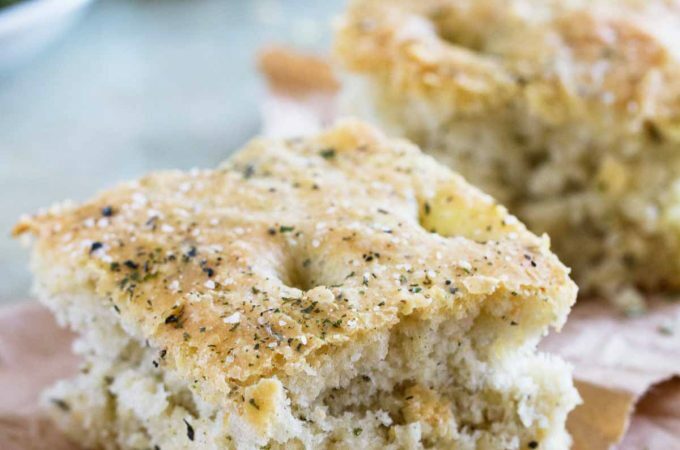 Don’t go too far, you just want to be able to flatten them with your fingers. Flatten out 2 candies for each treat, then place them on the cut side. The place the other side on top, sandwiching the caramel in between the two layers. 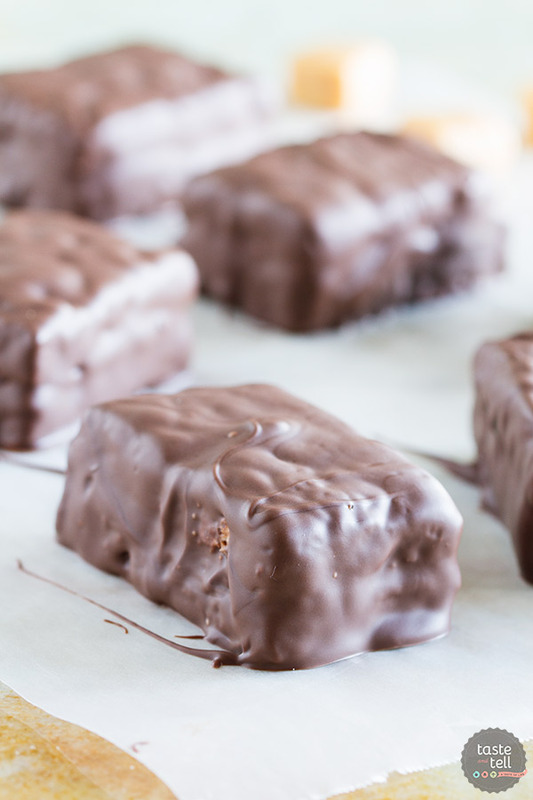 Last, melt the candy coating and use 2 forks to completely dip the treats, coating with chocolate on all sides. Let the chocolate drip off a bit before transferring them to a sheet of parchment paper. 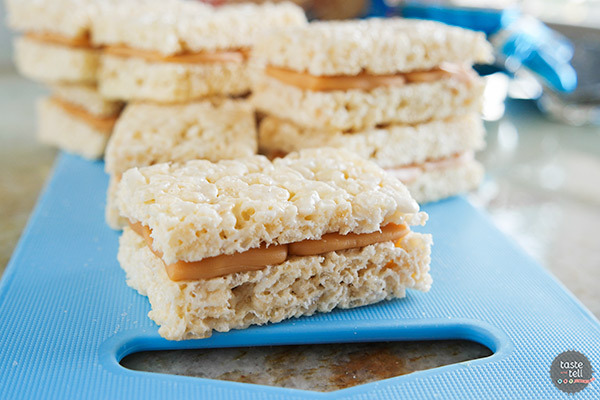 These Caramel Filled Rice Krispies Treats are so easy and so irresistible!! I simply wrapped a few of them in plastic wrap and wrapped them up nicely in a box. 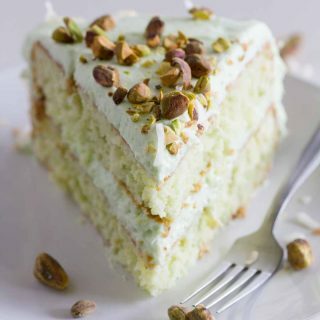 Perfect for gift giving!! Such a perfect gift to give to the dad who has it all, and a great way to get the kids involved, as well! 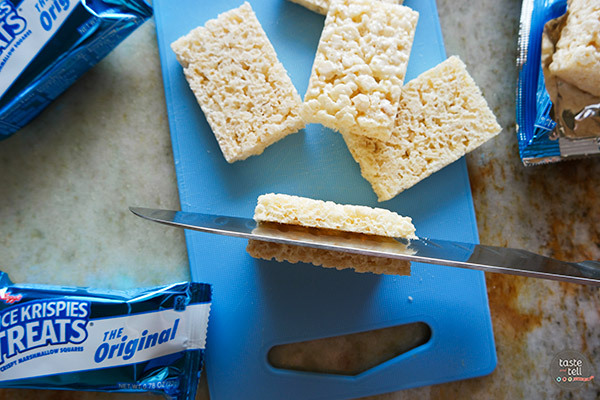 Using a sharp knife, cut each of the Rice Krispies Treats bars in half to form 2 thinner bars. 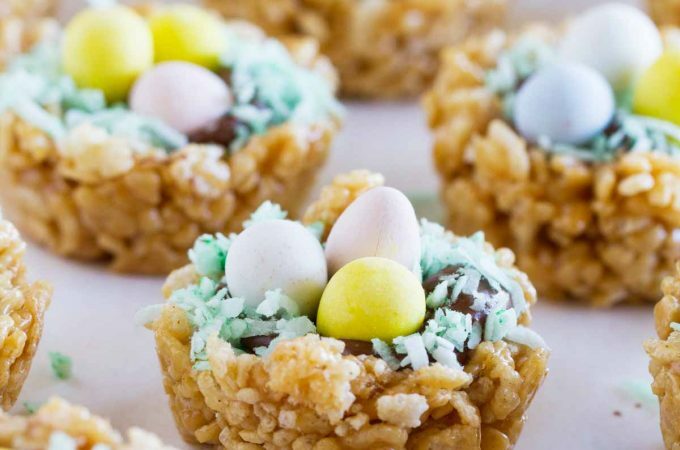 Place the caramel candies on a microwave safe plate and microwave on high for 10-15 seconds, just until pliable. 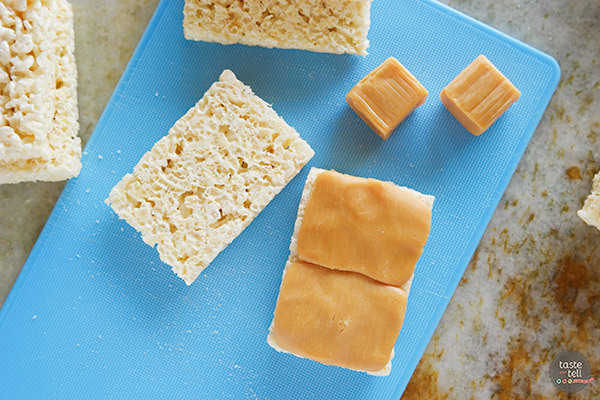 Using your hands, flatten 2 of the candies to be the same size as the cut side of the Rice Krispies Treat bar. 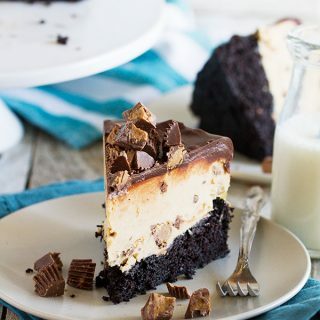 Place the caramel on the bar, then place the second half on the top so that the caramel is sandwiched in the middle. Repeat with the remaining bars and candies. Heat the candy coating according to the package directions. 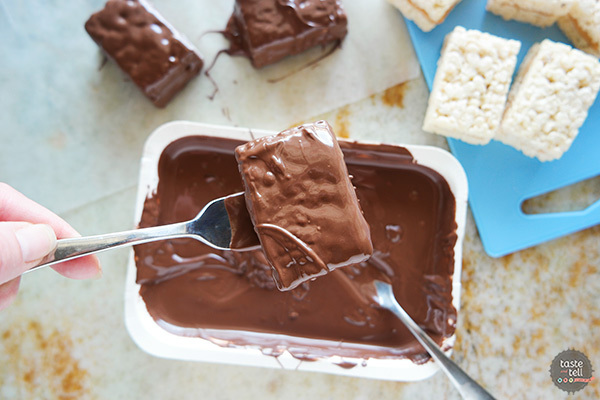 Using 2 forks, dip each of the caramel filled Rice Krispies Treats into the chocolate, coating all sides. 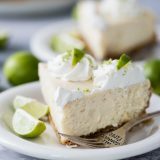 Let the excess coating drip off, then place on a sheet of parchment paper or waxed paper and allow the candy coating to harden. If giving the treats as gifts, wrap individually in plastic wrap and place them in a box or bag.